Building Hand-crafted Websites Since '04. I led a team of web designers and writers to recreate the top level website for the University. The project included migrating from Expression Engine to Drupal 7, a combination of designing in Photoshop and the browser, and using the Pantheon workflow. Roles: Design, Front-End Development, Drupal, and Project Management. 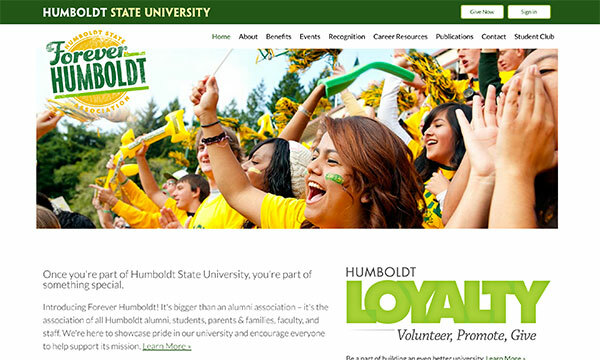 This site was created as part of an effort to rethink the alumni program and make it more about pride building for the entire Humboldt Family. The program now focuses on alumni, students, parents & families, faculty, and staff. I'm currently in the process of implementing the Domain Access module to split Forever Humboldt into multiple websites. Roles: Design, Front-End Development, Drupal. 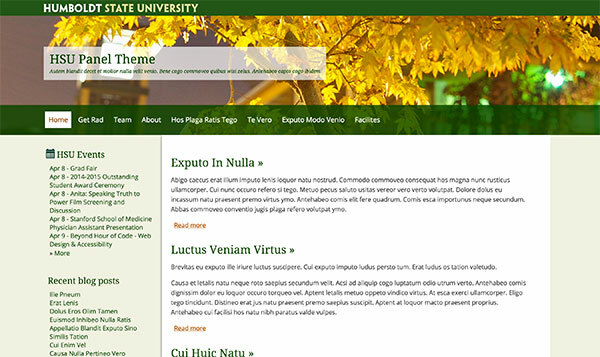 Design and development of Drupal 7 theme for general campus use. The theme was designed to handle various content types in an elegant and responsive way. 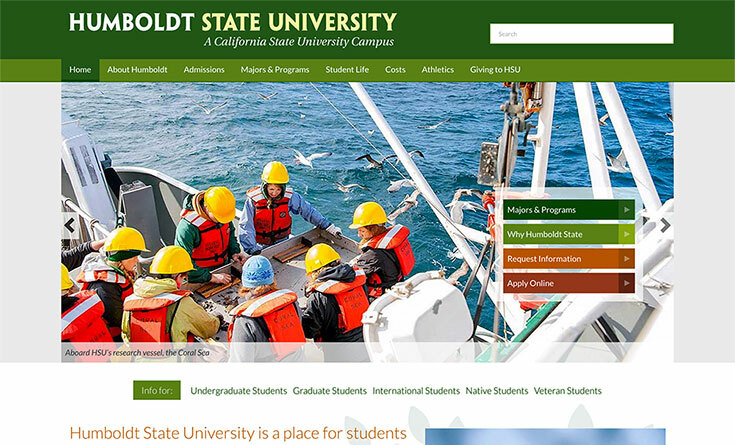 This theme is in use on dozens of HSU websites.